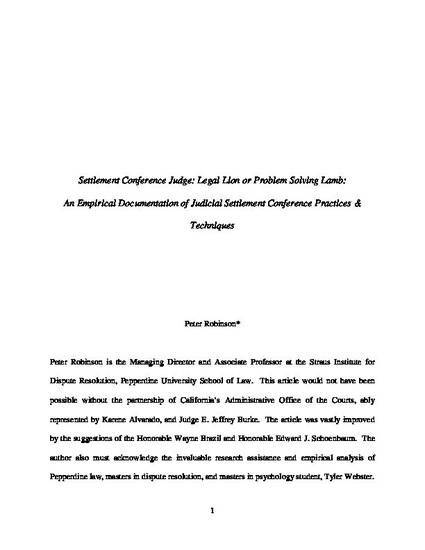 This article documents the results of a survey of California civil trial judges regarding their practices and techniques in settlement conferences. It provides empirical evidence regarding the extent that settlement judges focus on explaining legal strengths and weaknesses compared to satisfying the underlying needs, goals, fears, or feelings. It also documents the prevalence of directive, as compared to illicitive, techniques in judicial settlement conferences. Scholars and practitioners interested in a judicial view of the settlement conference practices should be interested in this article.